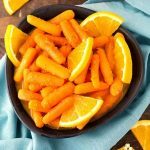 Instant Pot Orange Maple Carrots are a delicious vegetable side dish. 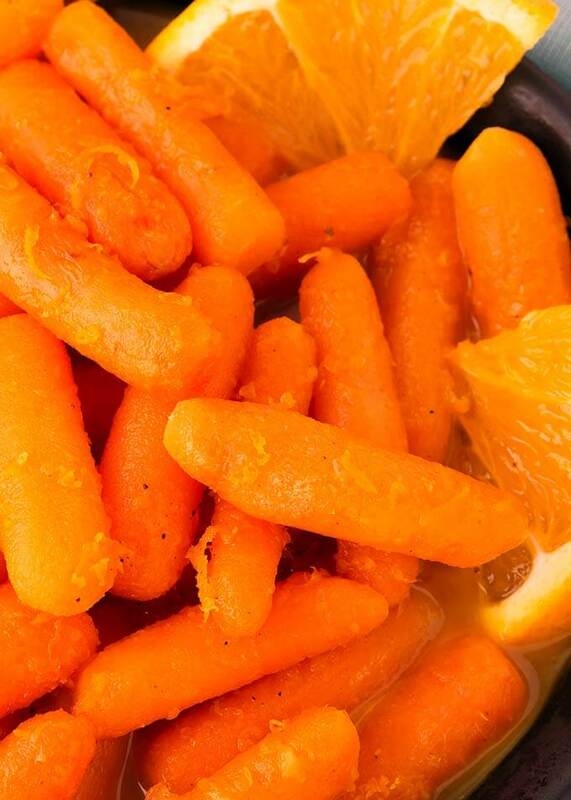 Slightly sweet orangey carrots with a hint of maple are so tasty! Serve these pressure cooker orange maple carrots as a Holiday side dish, or anytime you want to change up that boring veggie side dish! Okay folks, here’s another reason to eat your vegetables… Because they are delicious! Carrots can be flavored in so many ways, both savory and sweet. These pressure cooker orange maple carrots are sweet, but not too sweet. 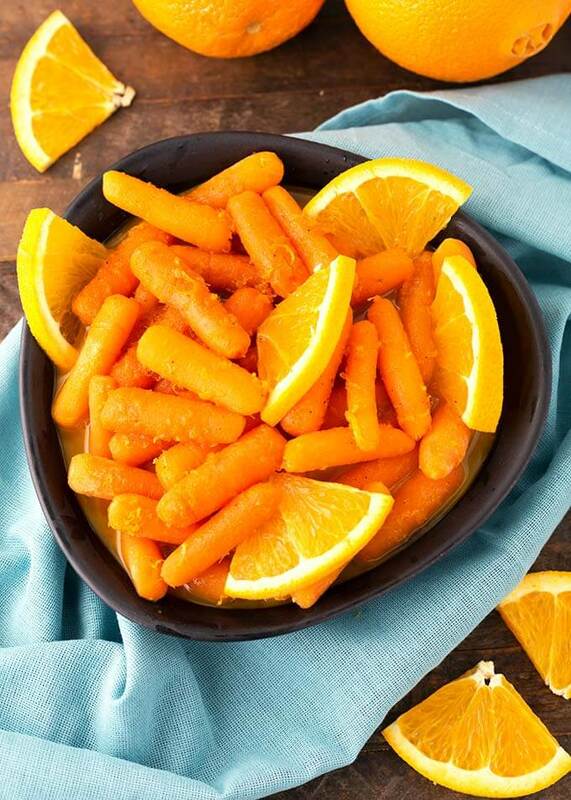 The fresh flavor of the orange has its own sweetness, and the maple and brown sugar add a richer sweet flavor to these yummy baby carrots. They are a perfect recipe for kids (and grown-ups) who don’t think they like veggies. 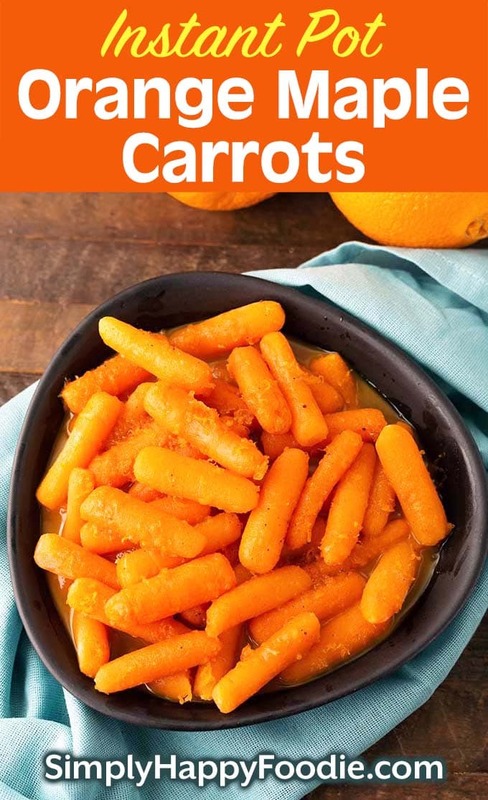 This is another Instant Pot Dump and Start recipe, so it couldn’t be easier to make these carrots! Can I use regular carrots instead of the baby ones? Yes you can, as long as you cut them to the approximate size of a baby carrot. The cook time depends on how big they are, so keep that in mind when you are choosing your carrots. Also, baby carrots are sometimes very thin, and I don’t recommend those ones. However, if you do end up with thin carrots, decrease the cook time by 1 minute. Making carrots in the Instant Pot is nice because you can add the flavorings & seasonings to the pot with the carrots, then set the time and not have to babysit it. Just be sure to be there when they are done cooking as you will need to do a Quick Release of the pressure to avoid overcooking them! Instant Pot Orange Maple Carrots are a delicious vegetable side dish. 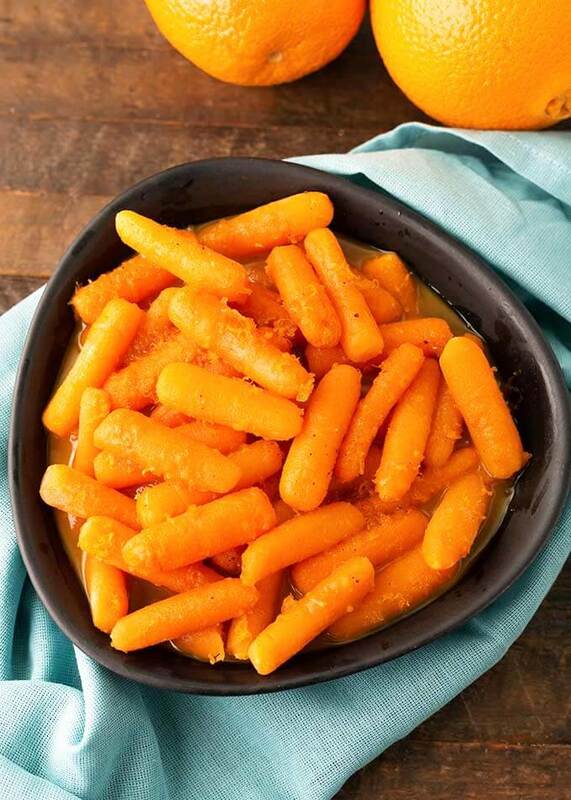 Slightly sweet orangey carrots with a hint of maple are so tasty! Serve these carrots as a Holiday side dish, or anytime you want to change up that boring veggie side dish! Add the carrots, zest, juice, salt, butter, nutmeg, and maple syrup to the pot. Stir well. Press the Pressure Cook/Manual button or dial, then the +/- button or dial to select 3 minutes (2 minutes for thin baby carrots). High Pressure. The pot will take several minutes to come to pressure. When the cook cycle has finished, turn the steam release knob to the Venting position to Quick Release the steam/pressure. When the pin in the lid drops back down, open the lid. Stir in the maple flavoring and the brown sugar. Turn on the Sauté setting. When the liquid starts to simmer, stir in the corn starch slurry. Stir until thickened. Turn off the pot. Serve immediately with some of the glaze.